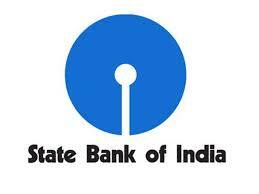 SBI Card, a subsidiary of State Bank of India , today launched a premium credit card with host of facilities targeting high networth customers. 'Elite' card is launched on the Master Card World platform and is enabled with NFC (Near Field Communication) technology. This allows customers a contactless payment experience, adding more speed and suave to their wallets, SBI Card CEO Vijay Jasuja said. The new card comes with a joining fee of Rs 4,999 and all customers will receive a welcome gift worth Rs 5,000 in the form of vouchers from popular lifestyle and travel brands. "We believe that this card will give our customers an experience of premium privileges that are unique and match their lifestyle. The launch of this new card will help raise penetration from 15 percent to 20 percent in the entire portfolio," Jasuja added. The third-largest card issuer has total card base of 3.75 million. Talking about the benefits, he added that the card offers privileges such as 24x7 concierge services, golf course reservations, spa, limousine or movie ticket bookings, all of this can be availed with just one phone call. For the frequent fliers, he said, the card offers lounge access through priority pass program at over 850 airports across the globe. Up to 50,000 bonus points on milestone spends of Rs 3 lakh can be earned by cardholders and they will get Rs 500 off on movie tickets on on every month, he noted.